County Executive Edward P. Mangano and Acting Commissioner of Police Thomas C. Krumpter have seen an increase in stolen autos in Nassau County. Be alert! If you see something, say something! Nassau County, NY - February 2, 2017 - County Executive Edward P. Mangano and Acting Commissioner of Police Thomas C. Krumpter want to alert the public that we have seen an increase in stolen autos in Nassau County. We would like to urge citizens to be vigilant using the following safety tips. 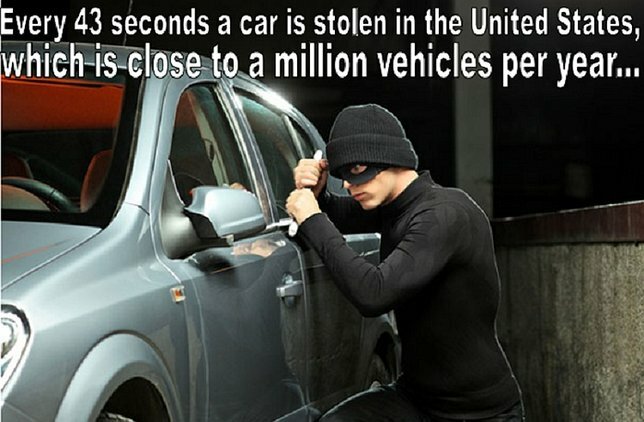 Never leave your car running, while unattended or unlocked. Consider installing a GPS system, a visible anti-theft device or an audible alarm. 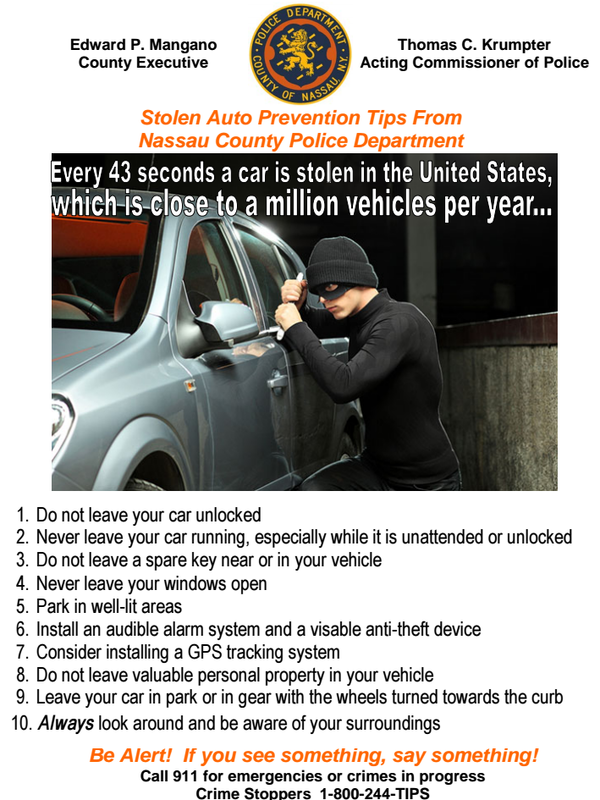 Never leave valuable personal property in your vehicle. Most important, we want to remind people when they are leaving or returning to their vehicles, they should be observant of cars and people who appear suspicious. If you “See Something, Say Something”. Subject: LongIsland.com - Your Name sent you Article details of "NCPD Advisory Alerts Public on Increase in Stolen Cars; Offers Safeguard Tips"